Gio Ponti was one of the most important Italian architects, industrial designers, furniture designers, artists, and publishers of the twentieth century. The Fato Lamp was designed by Gio Ponti for Artemide in 1966. Originally released by Artemide in 1966 and again re-edited in 2000 for a limited time. This collectible 'Fato' lamp is from the later Artemide production from 2000 and is no longer in production. With its geometrical surfaces, this minimalist square metal framed table lamp creates an appealing play of light and shadow. 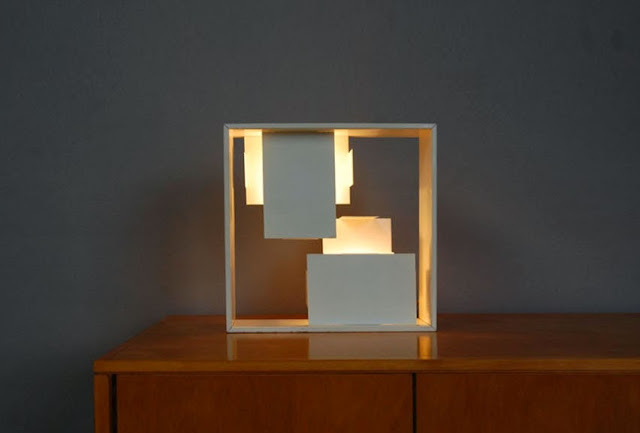 Gio Ponti's Fato table light can also be used as a showcase for small objects. 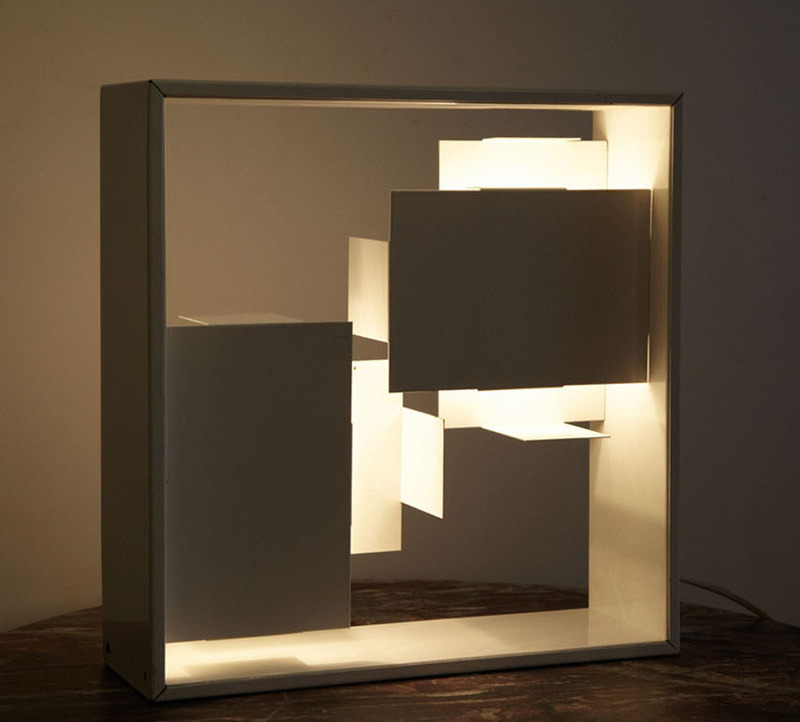 Fato is a timeless light sculpture and a classic icon of mid-century modern Italian design. The lamps are in mint condition and appear to have been never used with original bright-white lacquer. The Fato Lamp accommodates 2 x E14 MAX 40W incandescent light bulbs. Light bulb included. Gio Ponti Fato Lamp. One of the great all-rounders was Italian architect, designer artist and publicist Gio Ponti (1891 to 1979). For Ponti, architecture, interiors and utility items were directly connected with one another, and yet, when combining them, he avoided dogmatism of all kinds. His work fluctuated between Classicism and Modernism, between craftsmanship and industrial production. Sometimes it was a simple and practical, sometimes decorative. Accordingly, Ponti's work is not uncontroversial and yet his individual pluralism is considered a forerunner of the Post-modern. As an enthusiastic mediator between architecture and design ("Amate l'architettura! "), in 1928 he established the magazine "Domus" whose editor-in-chief he remained almost without interruption until his death in 1979. Ponti's most famous building is the Pirelli Tower in Milan, which he realized together with Pier Luigi Nervi. This elegant skyscraper was erected on a long, hexagonal floor plan because for Ponti the diamond-shaped hexagon was the perfect geometric figure.Ponti's ultra-light chair "Superleggera" (dating from 1955/1957) and weighing only just under 1.7 kg is considered a legend of design classics. At the time, the manufacturer Cassina ran an advertising campaign claiming that if thrown out of the window onto the street it would land unscathed and even bounce back. Ponti had designed graceful chairs even earlier than this, for example "Livia" (dating from 1937), which, alongside other historical Ponti chairs, is still being produced by l'abbate today. 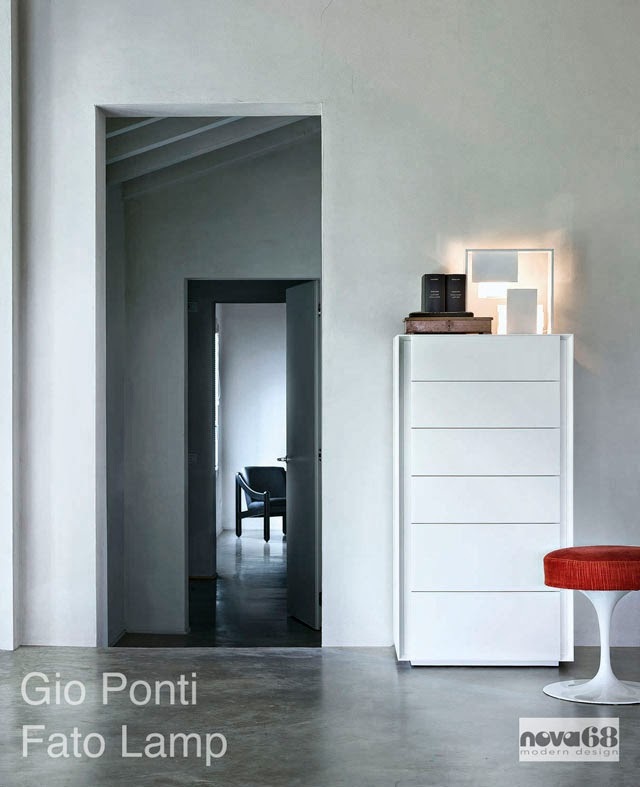 The search for lightness and elegance is a recurring theme in Ponti's work. His later work is dominated by surfaces which he continued to dissolve - almost to the point of dematerialization. For example, in the open facade of the Concattedrale of Tarento (1970) or in his luminaire "Fato" for Artemide. 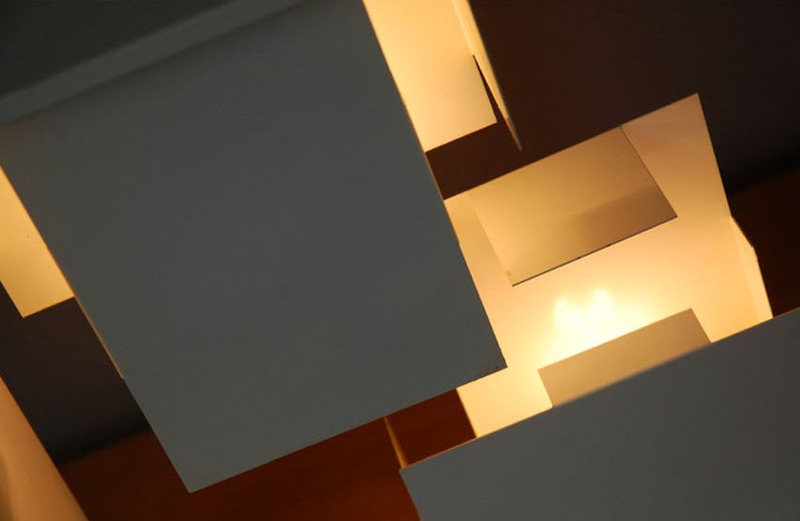 The Artemide Lighting Fato Light is a sculptural table lamp. 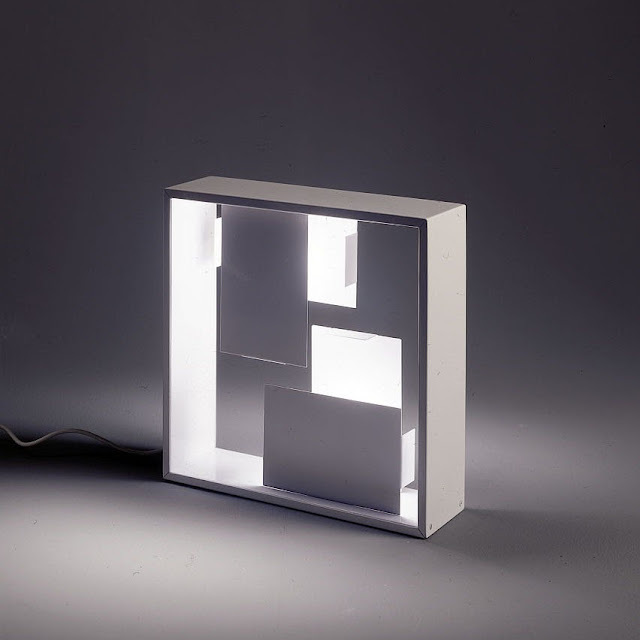 Designed by Italian designer Gio Ponti, the Fato has geometrical metal screens creating light and dark, screened and clear, all enclosed in a square frame: it is both a light object and a minimalist sculpture. The Artemide Fato is a lighting sculpture with a strong styling connotation to the Italian modernist movement of the middle of the 20th century having been originally designed in 1966 by Gio Ponti. Structure in white enameled, folded and welded plate.